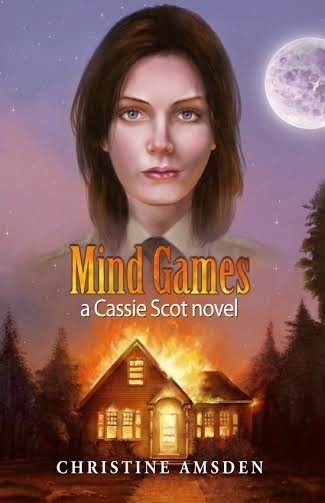 Mind Games (Cassie Scot Book 3) Beware your heart and soul… Evan broke Cassie’s heart two months ago, and she still doesn’t know why. She throws herself into family, friends and her new job at the sheriff’s department, but nothing helps. The only thing that finally allows her to heal and move on is the love of a new man, mind mage Matthew Blair. Cassie finds him…irresistible. Matthew may also be the only one who can help keep the non-magical residents of Eagle Rock from going crazy over the murder of a beloved pastor’s wife. It looks like a sorcerer is to blame, but while Cassie tries to figure out who, others take matters into their own hands. With tensions running so hot, a single spark might set Eagle Rock ablaze. 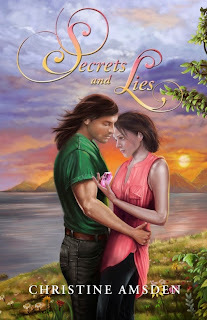 Secrets and Lies (Cassie Scot Book 2) Cassie Scot, still stinging from her parents’ betrayal, wants out of the magical world. But it isn’t letting her go. Her family is falling apart and despite everything, it looks like she may be the only one who can save them. To complicate matters, Cassie owes Evan her life, making it difficult for her to deny him anything he really wants. And he wants her. Sparks fly when they team up to find two girls missing from summer camp, but long-buried secrets may ruin their hopes for happiness. Christine Amsden has been writing fantasy and science fiction for as long as she can remember. She loves to write and it is her dream that others will be inspired by this love and by her stories. 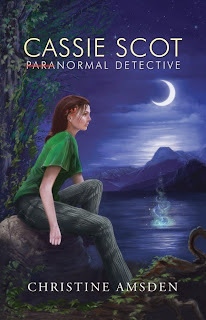 Speculative fiction is fun, magical, and imaginative but great speculative fiction is about real people defining themselves through extraordinary situations. 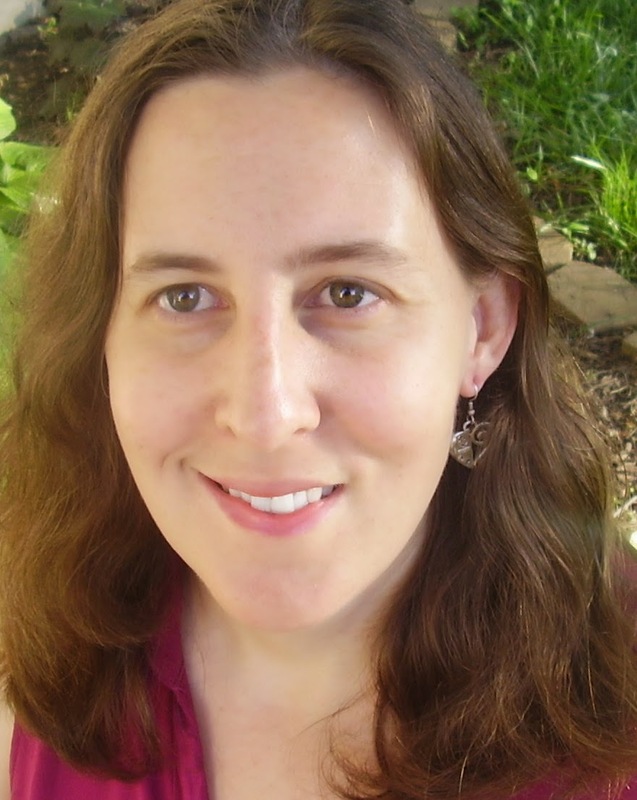 Christine writes primarily about people and relationships, and it is in this way that she strives to make science fiction and fantasy meaningful for everyone. At the age of 16, Christine was diagnosed with Stargardt’s Disease, a condition that effects the retina and causes a loss of central vision. She is now legally blind, but has not let this slow her down or get in the way of her dreams. In addition to writing, Christine teaches workshops on writing at Savvy Authors. She also does some freelance editing work. Christine currently lives in the Kansas City area with her husband, Austin, who has been her biggest fan and the key to her success. They have two beautiful children. WOW! EVERYONE GIVE A WARM WELCOME TO CASSIE SCOT WHO HAS TAKEN TIME OUT DURING A VERY DIFFICULT TIME TO ANSWER A FEW QUESTIONS FOR US!! 1) How is your job coming along? I understand you have a new partner? I like the job at the sheriff's department. It's ... well, I don't love it. I'm not sure if I feel that way because my attempt to go solo as a private eye failed, or if it's because I still haven't found my calling. Most of the people I work with are great, especially the sheriff. And now that my old partner, Rick, is gone, the atmosphere has improved a ton! I'm reserving judgment on my new partner, Wesley. He's new to town and still taking things in. At least he is taking things in and not snapping to any judgments. Not even about magic. I respect that. 2) What has Nicolas been up to? My brother surprised me, actually. Oh, not because he got a magical apprenticeship – he should have done that months ago instead of trying to become a firefighter right off – but because he went with Clark Eagle as his mentor. I figured he'd go with Henry Wolf, who was our dad's mentor. And Mr. Wolf has an opening, now that Evan's graduated. But he went with Clark Eagle. He's almost as well-regarded in the community as Mr. Wolf, but Mr. Eagle is a combat sorcerer. Nicolas has a temper, but combat? I figured he was more into search-and-rescue. But times are changing. I think I've been a bit naive about how much evil exists in the world. For all that he's three years younger than me, Nicolas may have figured that out sooner. 3) I cannot imagine how you are feeling right now towards Evan, but you must have some understanding of his point of view. If the circumstances were reversed how would you handle it? I can't talk about Evan right now. He ... what he did to me ... and he didn't even tell me the truth! The coward! If our positions were reversed, I would at least have told me the truth! 4) Do you think you are a stronger person because of your lack of magical abilities? I'm not sure I understand. How could not having magic make me stronger? Everyone around me is stronger than I am. I've been trying to make potions lately; I'm not bad at it, but I still have to ask for help at key steps when the recipe calls for magic. 5) Evan is so protective of you. Do you think he feels this way because of a guilty conscience or do you think it might be something deeper than that? The thing you have to understand about Evan is he's really full of himself. He'd love to think that he can have everything he ever wanted – including me. As for protecting me, that sort of thing really boosts his ego. Okay, so there are a lot worse ways to boost your ego, but it's not love. Not that I'm an expert on love or anything, but it's too easy for him to protect me. That's just a natural extension of who he is. I don't know, but I think real love is harder than that. 6) You are in vulnerable state of mind at the moment. Is it a good idea to start dating so soon? Evan and I were together for what, two weeks? I'm fine. Besides, what better way to get past a broken heart than to move on? Matthew is a great listener, he's very supportive, and I don't know ... he makes me feel good. The world doesn't seem like such an overwhelming place when I'm with him. 7) Do you think Evan's father should bear the brunt of responsibiltiy for what happened? What should he do to make ammends? Do you think he ever will feel remorse? Oh it is definitely his fault! I cannot say enough vile, hateful things about Victor Blackwood. Make ammends? It's decades too late for that. As for remorse ... I doubt he knows the meaning of the word. 8) Do you believe in the predictions some have about your future? You mean Abigail Hastings, who still thinks I'm going to marry her grandson, Evan? The woman's got half a foot in the grave and I think her brain is in that foot. 9) Evan gets sucker punched several times in Mind Games. His trust in certain people could come back to haunt him . Do you have any predictions about how this will effect the community or you personally? Are we still talking about Evan? All right, all right ... I haven't given this a lot of thought, to tell you the truth. Yeah ... yeah, you're right. And I did warn Alexander DuPris about what might happen there at the end but he didn't listen. But what will happen? The future is tough to predict, even for a seer. (Abigail Hastings is proof of that!) There are so many possibilities, and so many angles to consider. Did I mention Evan's arrogance? I think Alexander may have a fight on his hands. The only thing is, and I don't mean this in a bad way, that Evan isn't really a leader. Oh, he's got certain alpha qualities like super extreme magical power and a desire to protect the people who are close to him, but he's more the lone wolf type. That makes it hard to predict what's going to happen next. Evan won't take these betrayals lying down, but he's going to need some help to make it happen, which means he's going to have to get over himself and accept that help. But I don't think it can have anything to do with me, can it? My current plan is never to see or speak to him again. Unfortunately, I have a feeling that won't work. 10) Do you have a motto or a quote you would like to share with us? I should have a motto, shouldn't I? Maybe I'll have one, someday soon, but right now even I know I'm a bit too confused about who I am. Thank to Christine Amsden for setting up the interview with Cassie. I can't wait for find out what happens next!! Stay tuned!! I agree that Cassie is the stronger of the two, although in Evan's defense, this can't be easy for him either. That's why I was so proud of this conflict, though -- I can clearly see both sides and understand how each must be feeling. I don't think these two can just sit down and talk (which is how I feel reading so many romance novels) and things will be great. This has to be dealt with, somehow. I can't wait to see what you think of the end! On first thought, you'd think that the ability to read minds would be great but I would not want it. There's so much going on in people's heads most of the time that's so extraneous and random. I think it would be a kind of disturbing power. Great interview! Enjoyed this book! Great books. Thanks for sharing them with us..